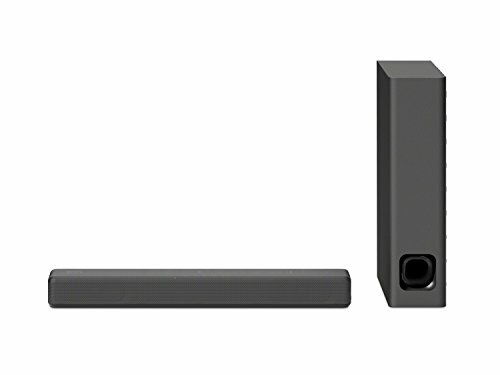 Enjoy great sound without sacrificing the style of your room with this powerful mini sound bar and slim subwoofer that blends in instead of standing out. Fill any space with theater-style surround sound and thunderous bass, while the 2-way flexible subwoofer tucks away easily between or underneath future. Stream music easily with Bluetooth and even control playback with your phone. It’s the perfect choice when style and sound matter.